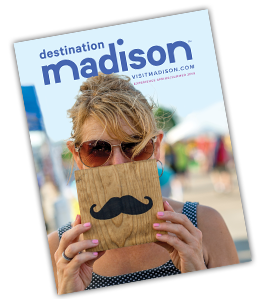 Madison continuously ranks as one of the best places to do many things including live, work, play, and raise a family. For those who live here, the accolades are always appreciated. We value the natural beauty (through all four seasons! ), the cultural opportunities, and the wealth of award-winning restaurants, shops, and attractions available. If you work in Madison and belong to a professional association, share your city pride by bringing a regional, national, or international meeting to Madison via our Bring Your Meeting Home initiative. For those who want to move here, we can&apos;t wait to welcome you! Peruse our rental and relocation, real estate, and extended stay options while you find your way. We hope we can be helpful in supporting your search for a new home, employment, financial services, and health care. If you&apos;re considering a move to Madison, you can also request an information packet or download our relocation reference sheet. We can&apos;t wait to welcome you!